We’d love your help. 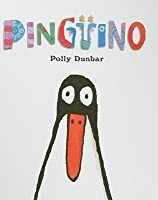 Let us know what’s wrong with this preview of Penguin by Polly Dunbar. A quirky new tale from a rising talent — in which a bossy little boy receives a surprising comeuppance. When Ben rips open his present, he finds a penguin inside. "Hello, Penguin!" he says. "What shall we play?" But Penguin says nothing. Even when Ben tickles its belly, sings a funny song, does a dizzy dance, stands on his head, sticks out his tongue, and resorts to increas A quirky new tale from a rising talent — in which a bossy little boy receives a surprising comeuppance. To ask other readers questions about Penguin, please sign up. An adorable book to delve yourself in. It is hardly a minute read, but this duration would be one memorable time for you. I know I said that I'll be reading serious stuff. But these penguin books ---- I can't get enough of them! For a quick relief from solving equations or writing codes or whatever are the jobs you really like to do but have become bored after doing them sometime. Having been given a set of Penguin book ends for Christmas and having always been an avid Penguin book collector, when I saw a book called 'Penguin' I just had to have it. And speaking of presents, Ben received a well wrapped present and, undoing it he discovered a penguin inside. He greeted the penguin, 'Hello Penguin!' But the penguin did not speak. Ben tried again, 'What shall we play', he said holding up the penguin. When there was no reply he resorted to 'Can't you talk?' The penguin still sa Having been given a set of Penguin book ends for Christmas and having always been an avid Penguin book collector, when I saw a book called 'Penguin' I just had to have it. Ben tried again, 'What shall we play', he said holding up the penguin. When there was no reply he resorted to 'Can't you talk?' The penguin still said nothing. Ben then tickled the penguin, he did not laugh; Ben pulled his funniest face, the penguin did not laugh; Ben put on a happy hat and sang a silly song and did a dizzy dance, the penguin was still poker-faced and said nothing. Ben stood on his head, prodded penguin, blew a raspberry, made fun of penguin and even imitated penguin. But the penguin still said nothing. Ben studiously ignored penguin and penguin in return ignored Ben. So Ben fired penguin into outer space but then he came back to earth without a word. Amazingly a passing lion came along and Ben tried to feed penguin to it but the lion did not want to eat penguin. Ben got very upset but penguin still said nothing. In desperation Ben shouted at the top of his voice, 'Say something'. And while penguin said nothing the lion felt that Ben was too noisy and ate him! Penguin then spoke but his words come out as pictures but it seems that he was re-living and enjoying everything that Ben had previously said. And Ben and penguin ended up hugging each other, very much in love! 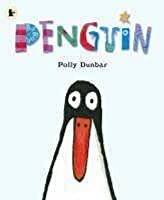 This is one of my go-to choices for Storytime sessions: Penguin is not too long, not too wordy, and has just the right blend of text and picture. The illustrations are clean and unfussy, and allow children to spot what's happening right away. The text lends itself perfectly to being acted out with the story. The 'twist' at the end never fails to give the kids that lovely "ohhhhh" moment when they work out that Penguin just expresses himself a bit differently. Heartwarm Penguin is just brilliant. One of my favorites of 2007! For his birthday Ben got Penguin. “Hello, Penguin!” said Ben. Penguin said nothing. Ben was determined to get Penguin to speak, so he tickled and danced and stood on his head. Penguin said nothing. Ben put Penguin on a rocket and shot him to outer space, but Penguin came back to earth as silent as before. Finally, Ben tried to feed Penguin to a passing blue lion. Unfortunately, the lion decided to eat Ben because he was being so noisy. But Penguin came to Ben’s rescue. And then Penguin spoke to For his birthday Ben got Penguin. “Hello, Penguin!” said Ben. Penguin said nothing. Ben was determined to get Penguin to speak, so he tickled and danced and stood on his head. Penguin said nothing. Ben put Penguin on a rocket and shot him to outer space, but Penguin came back to earth as silent as before. Finally, Ben tried to feed Penguin to a passing blue lion. Unfortunately, the lion decided to eat Ben because he was being so noisy. But Penguin came to Ben’s rescue. And then Penguin spoke to Ben, a long monologue of images. And Ben was happy. The text of this charming book is simple and punctuated by the frequent refrain, “Penguin said nothing.” The blue lion seems to come out of nowhere, but I tend to think that this story has been created by Ben as he plays with his toys and that the lion is another toy. The mixed media illustrations place the characters against blank white pages, bringing the focus onto the interaction between Ben and Penguin. Ben is a lively little toddler, his round tummy sticking out slightly from his bright green pajamas, and Dunbar is able to show the full range of his toddler behaviors, from making faces to yelling until he’s red in the face. The writing and the illustrations are spare, but pack a wallop. Polly Dunbar used vibrantly colored mixed media to create the illustrations. The lion in the story (yes, there's a lion) is made with a material that almost beckons you to touch. So cute!! Took Zack to a library storytime this morning and they read this so we had to check it out and read again. 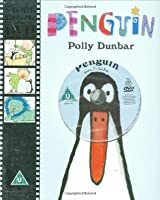 Precious illustrations - story about a boy who tries to get a penquin to talk but the penguin remains silent ... all the while retaining exactly what the little boy, Ben, is saying to him. Great ending. Picture books that are quirky and more than your average plot like this are a true delight. A story about a little boy called Ben who received a Penguin for a present. Ben tries many different ways to get Penguin to speak to him with no joy until eventually, with a little twist at the end, he succeeds. A simple, repetitive story with lovely illustrations that children will warm to. A good story to read to young children or to have on a class bookshelf. OK. Might be a little disturbing because the boy tries to feed his penguin to a lion and then the lion eats the boy. Both the pictures and the narration were amazing..
A boy gets frustrated with his friend penguin. It's just a lack of communication. 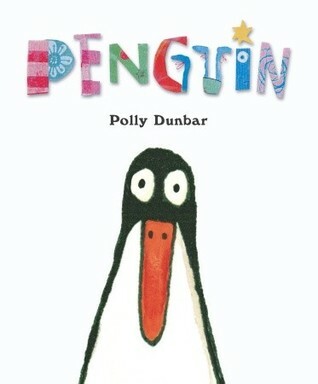 Penguin is my favourite animal, so when I saw this book at work, I can't help myself but borrow it. It's a beautiful picture book about a boy who received a penguin as his present. The boy tried very hard to get the penguin talking, but no matter whatever tricks he did, the penguin was still very quiet. When the boy got too noisy making the penguin to say something, he was eaten by a lion. And this is when the penguin showed its love for the boy. It bit the lion very hard on the nose, and the lio Penguin is my favourite animal, so when I saw this book at work, I can't help myself but borrow it. It's a beautiful picture book about a boy who received a penguin as his present. The boy tried very hard to get the penguin talking, but no matter whatever tricks he did, the penguin was still very quiet. When the boy got too noisy making the penguin to say something, he was eaten by a lion. And this is when the penguin showed its love for the boy. It bit the lion very hard on the nose, and the lion released the boy. The penguin said something for the first time in the story, and that something is everything the boy did to it and how it felt. A boy gets a pet penguin. He does everything he can think of to get the penguin to talk, but the penguin won't say anything. What can he do to get this penguin to respond? A lovely, silly little book that will appeal to both my toddler and preK storytimes. Can't wait to use it. Ben received a toy penguin for his birthday. Nothing Ben did or said made Penguin say anything. When a lion gets annoyed with all Ben's noise he puts a stop to it, and that's when Penguin surprisingly reacts. Funny. Great illustrations. Penguin doesn't talk with words and neither does Alena. This book made me think of her. She seemed to like it. Read for penguin themed storytime at work. Adorable. This review has been hidden because it contains spoilers. To view it, click here. Five year old says... "The bit where the lion eats Ben and the penguin bites lion is very funny"
Cute, has repetition and a rhythm, but not a lot of plot or new words to teach with. Was quick to translate. The highlight of this book was when the lion ate the stupid child known as Ben because Ben was too noisy. I was disappointed that Penguin got Ben back. This is fun and funny. Spoiler alter: My favorite part is when the kid gets eaten by a lion for being too noisy. Great to pretend that's the end for a moment. I found a penguin puppet today, so I was looking for a fun penguin book to accompany this puppet to ST. This one is perfect, and I can't wait to throw the puppet around along with this one. 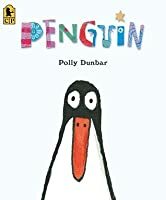 Polly Dunbar is the author-illustrator of many children’s books, including DOG BLUE, PENGUIN, and six stories featuring Tilly and Friends. She is also the illustrator of David Almond’s MY DAD'S A BIRDMAN. Polly Dunbar lives in Brighton, England.